Yesterday I worked in my garden for hours. TG and I put in some purely ornamental perennial flowers that a friend gave me, plus the normal maintenance stuff for my beds of edibles. 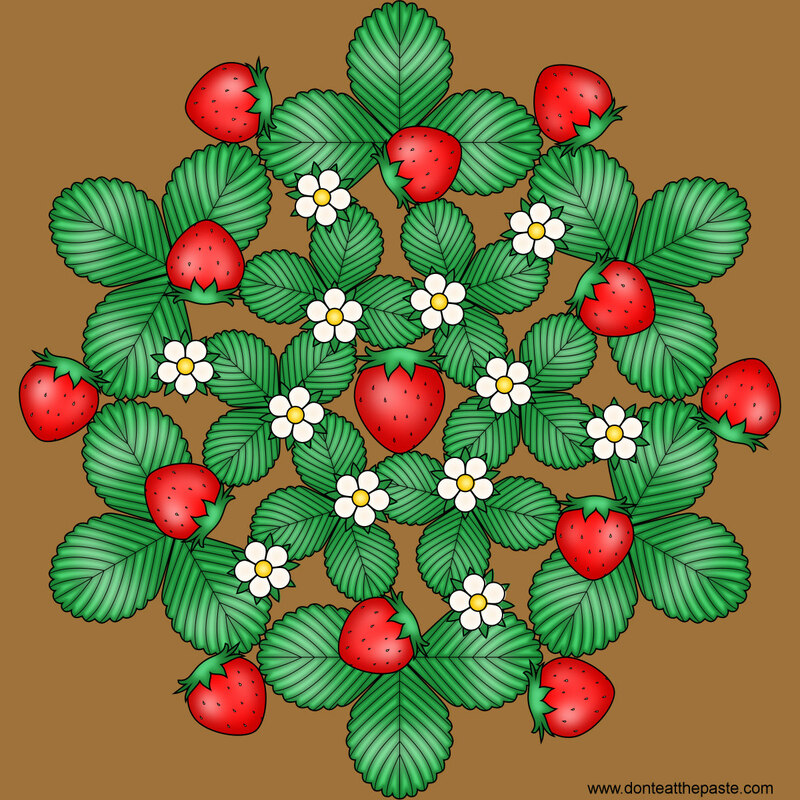 I'm really looking forward to strawberries ripening, and that inspired this mandala. 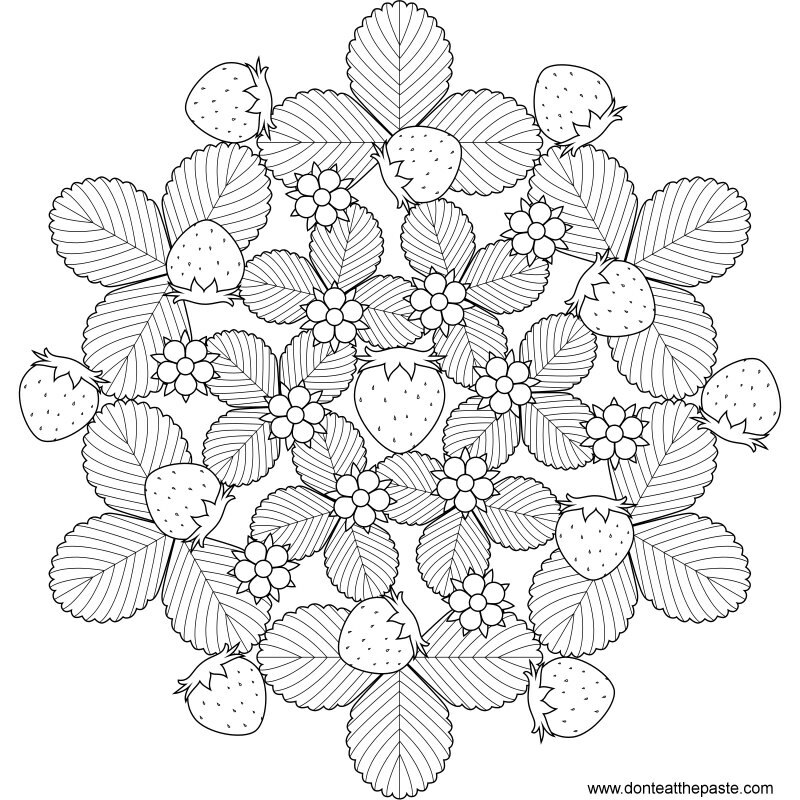 Click the images below for a larger version to print and color.